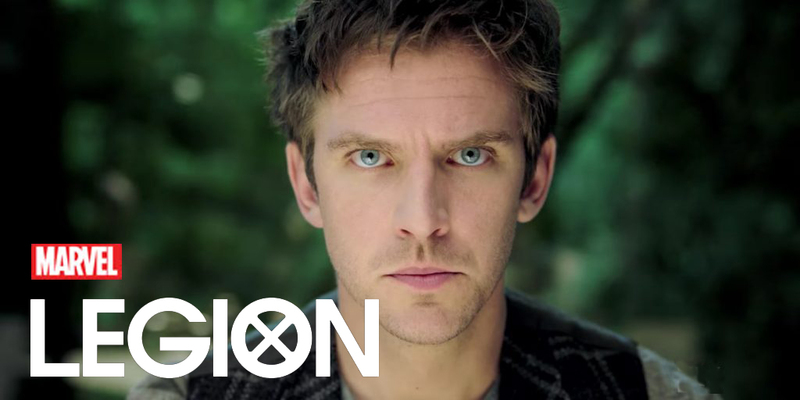 Legion is a show about some genetic mutants with superpowers, except the X-Men theme really doesn’t come up very much. 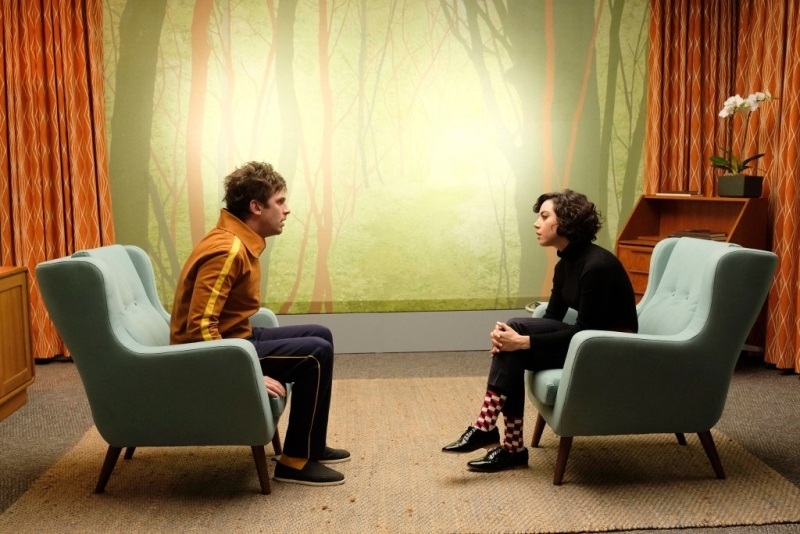 Legion is a surreal landscape of insanity, with people who are brainwashed to believe they are insane when really they have superpowers. I suppose the director used the X-Men theme to get more viewers rather than just another show about superheroes – and it worked, certainly. The first episode was a severe trip. I almost turned it off after the first 20 minutes or so because it was difficult to bear, but I’m really glad I persevered because it really paid off toward the end of the first episode. From there, I binge-watched the first 5 episodes – something I would not recommend because it may cause you to lose your sanity. It is twisted and original, yet guiltily pleasurable. While not at all terrifying like Stranger Things, Legion is a show which meets in the middle of insanity and chaos. The show is quite literally a mind-f*@#, and that is putting it lightly. It is twisted and shocking, incorporating everything from superpowers to total insanity to schizophrenia to astral projection to a twisted version of multiple universes. Despite or perhaps as well as these elements, the real allure of the show is possibly the idea ultimate power. The strangest or possibly most interesting element of Legion is basically the literal bogeyman. A major theme of the show so far is the show’s literal actualization of the bogeyman, although they do not call it this; and due to this I would very strongly suggest that small children, especially imaginative children, do not, ever, ever watch this show. Otherwise this is likely to traumatize them for life – and I am seriously not exaggerating. If I had watched this show as a child I would probably still be terrified of the dark and open closets today, and terrified to go to sleep. For adults, this might give you a shock but as long as you are not really afraid of the dark anymore then you should be ok. If you are still afraid of the dark, you definitely should not watch this show – trust me. You might sleep with the lights on for the next year. However if you are an adult not afraid of the dark, this theme is really quite good, even if you hate horror. Because as I mentioned, it is more shock and suspense than terror. As long as you’re not actually afraid of the dark (or bogeyman) – and really be honest to yourself because I am warning you. Now, I’ve never done drugs, but if I had then I think that watching this show is what it would feel like. This show is truly out of this world, both literally and figuratively; and definitely original in a way that really few shows ever achieve. While disconnectedly holding to a popular theme of superhuman abilities, the reality of this show is that superhuman abilities are not the focal point of this show, but rather insanity, raw power, and themes surrounding the bogeyman are the prime focus. 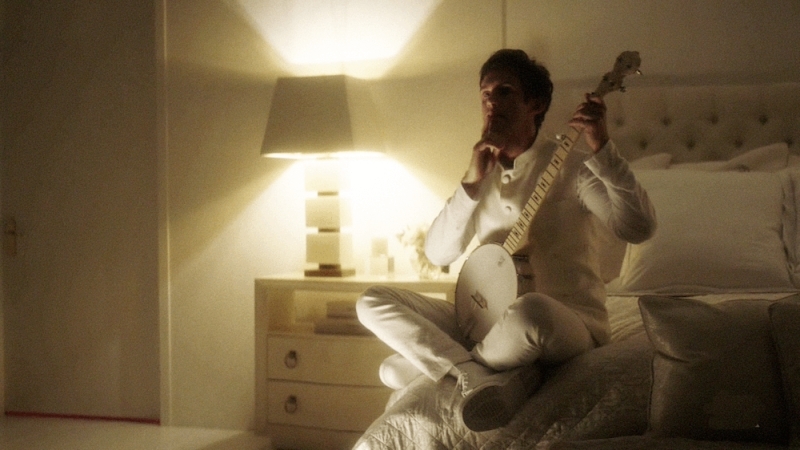 Not only is the storytelling truly groundbreaking, the script writing excellent, and the storyline amazing, the acting is also so good that this show is likely to be a breakthrough role for both of the main protagonists who were previously unknown – male protagonist Dan Stevens who plays David Haller and female protagonist Rachel Keller who plays Syd Barrett. While the two lead actors had been in several movies and series previously, they have adapted to this role so well it will undoubtedly lead to great success in future roles. People are likely to remember both of these actors as being known from their role in Legion. Moreover, Aubrey Plaza, who is known for her comedic role in Parks and Recreation, really stepped into this unusual role fantastically, adding a lot of depth and effectively epitomizing insanity. It wouldn’t be the same show without her. The rest of the cast is also quite good, especially Bill Irwin who plays Cary, and who is known for his role in Interstellar; Mackenzie Gray who plays “The Eye” guy and effectively takes creepiness to another level; and Jean Smart who plays Dr. Melanie Bird. Of course, the rest of the cast is awesome as well. All in all, for adults I would recommend this show. It is strangely alluring, and I really do mean strangely. The show is so disconnected, in some ways it feels like they are pulling your sanity apart. Yet my sanity does remain intact, after a few days of recovery of course. Legion really draws you in and takes you to another place, and truly achieves taking you to another world. I’m excited to see what else Legion has in store for us as the series continues. Episode 7 aired last night and I’m very interested to see what happens next. 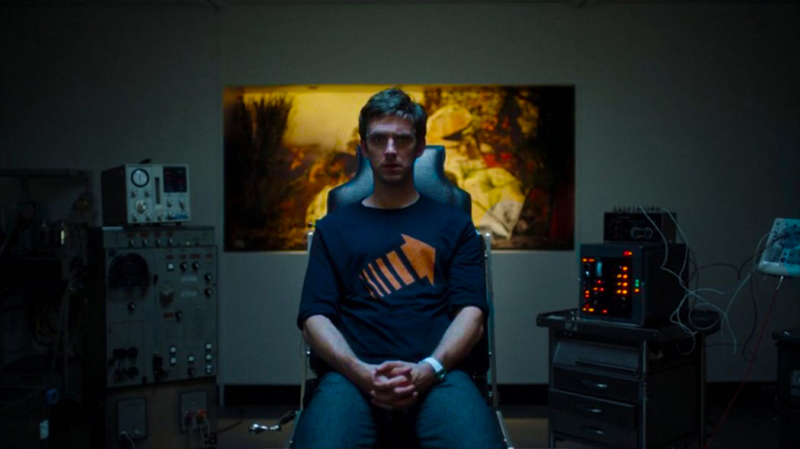 Also it’s worth noting, Legion has already been renewed for season 2 – is it any surprise? 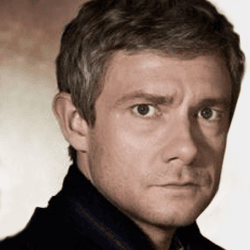 A show of this high caliber is likely to continue for at least several seasons if it can maintain originality. What about you? Did you like Legion? What did you think about it? Share your thoughts in the comments below.